After completing a month of missions to Armenia, Azerbaijan and China I had a brief respite in the form of a week long study tour to Germany. About 60 people from the transport unit and our clients gathered in Munich for five days to learn about different facets of transport in Germany. It was a great learning experience as well as the opportunity to get to know clients and other staff members better. After four weeks of missions in Armenia, Azerbaijan and China I found myself in Munich for a brief respite in the form of a technical study tour before heading back to Azerbaijan and Georgia to finish my marathon 7 week trip. We don’t normally have trips this long, but having to fit in China between two missions to Central Europe resulted in this too long mission. In fact, juggling work between Asia and Central Europe as well as my annual leave to New Zealand has resulted in an excessive travel schedule: Since January 4th I have only been in Washington April 14 to May 24th. I think of that song “I was born a travelling man …”. One does not work for the World Bank in field operations if one is not prepared to travel. One positive aspect to working at the Bank is their program of ‘Spouse Points’. Once one has travelled 200 days they pay for your wife to join you on mission. I managed to accumulate just under 600 points in my 4+ years at the Bank (another indication of too much travel given the official policy of no more than 90 days a year!) and so because I was on such a long mission Lis joined me in China and then Germany. So here we were in Munich together at the start of a week in Germany, which was very nice indeed. My plan was simple: keep Mt. 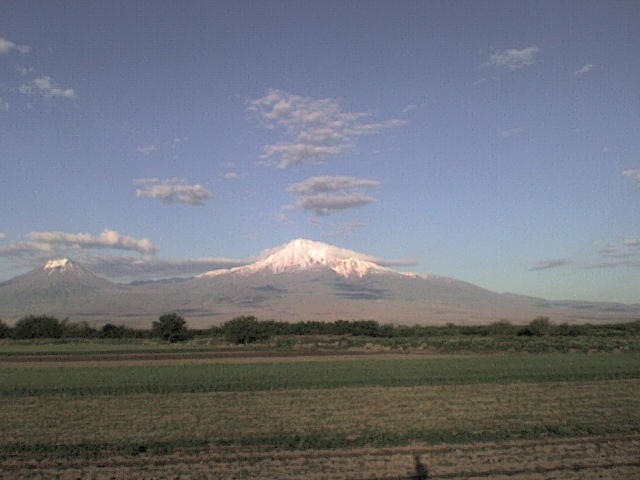 Ararat-fabled home of Noah’s ark-to the right and I would not get lost. I was on my way to the south of Armenia to undertake an engineering field visit to a road which the Armenian government had proposed the World Bank finance the upgrading of. I had decided that this was an excellent opportunity for a bicycle ride so I had told my Armenian Road Department (ARD) colleagues that I would meet them *somewhere* on the road south. My goal was to get as much riding in as I could before they caught up with me. You are currently browsing the World Bank Traveller blog archives for June, 2008.